NEW YORK – Following a record-setting year of serious safety issues in American motor vehicles, the National Highway Traffic Safety Administration (NHTSA) is promising a harsh crack-down on the auto industry, but only after being slapped with a critical audit. A 42-page internal review was published this week, charging the auto-safety regulation agency with several missteps, including failing to uncover a General Motors ignition switch defect linked to over 100 deaths. “Collectively, these weaknesses have resulted in significant safety concerns being overlooked,” the review stated, prepared by the Office of Inspector General. Every year, millions of car owners get recall notices. These recalls can stem from a variety of safety issues and defects but no year has seen more vehicle problems than 2014. More than 60 million vehicles had open recalls, more than double the previous record. New York car accident attorneys at Cellino & Barnes said vehicle malfunctions and defects can cause car accidents and sometimes make injuries more severe. NHTSA slapped GM with a $35 million fine in 2014 for the ignition switch problem that, to date, has claimed over 100 lives. Lawsuits and an ongoing federal probe into the issue could force GM to spend more than $1 billion, in total. However, the OIG concluded NHTSA failed to uncover this problem, and many other issues, in a timely manner. By the time NHTSA forced GM to recall 2.6 million vehicles, the automaker admitted it waited a whole decade to address the problem. NHTSA was also accused of failing to properly train and supervise its staff at the agency’s Office of Defects Investigation (ODI). According to the internal review, ODI staff members discovered several vehicle defects but didn’t follow-up or act on them, including issues with faulty airbags. Agency heads have publicly complained to Congress that the ODI is severely understaffed. In February, these complaints made it to the White House and the President asked Congress to increase the ODI budget threefold. ODI currently has just 60 workers answering roughly 330 consumer complaints each day. OIG developed 17 recommendations to improve the investigation process and the NHTSA has agreed to implement the recommendations with targeted completion dates. NEW YORK – Workplaces that emphasize employee safety as much as productivity are some of the most efficient companies in the nation, researchers at Colorado State University discovered. Researchers measured employee perception of their workplace safety measures using “ergonomics,” a method of increasing efficiency in the workplace by designing a worker’s job to eliminate hazards and reduce injury risks. The study found that when management promoted safety and productivity equally, workers reported having fewer injuries. On the other hand, when one of the categories had more emphasis, employees reported a higher injury risk. Brooklyn construction accident attorneys at Cellino & Barnes say safety has long taken a backseat to productivity but hope studies like this can change the work-site culture. The study is called “Ergonomics Climate Assessment: A measure of operational performance and employee well-being” and was funded by the Centers for Disease Control and Prevention’s National Institute for Occupational Safety and health. BUFFALO, N.Y. – Lawmakers expected the 2015 legislative session to end last week. It didn’t. Now, elected officials are in overtime, hammering out offer sheets in the hopes of striking a deal. One deal remaining on the table could have immediate effects on New York’s health system. Earlier this month, the New York State Assembly passed a bill that would change the statute of limitations to make a medical malpractice claim. The filing period for a claim would be exteneded to 10 years, according to the bill. A total of 99 Assembly members said ‘yea’ to the bill and sent it to the Senate, where the bill’s fate will be decided. Currently, patients have a two and a half year window to file a malpractice claim but Buffalo medical malpractice attorneys at Cellino & Barnes say patients don’t always experience the effects of malpractice immediately. “In some cases, the existing statute prevents some victims from receiving any kind of compensation and that can be taxing on hard working families in Buffalo,” medical malpractice attorney Ross Cellino. There are more than 32 state senators who have given the amended bill (S 911) their public approval, which would be enough votes to change the Empire State’s medical malpractice law. The only person standing in its way is majority leader, John Flanagan (R – Long Island). Flanagan can send the bill to a floor vote – or lock it up in committee. Although the medical malpractice reform has bipartisan support in Albany, some Republicans and influential organizations are asking to cap the amount juries can award malpractice victims. Many other states have established maximum awards but New York does not have any restrictions on how much a person can recover in a lawsuit. There are currently more than 40 states with laws that include a ‘date of discovery’ statute. New York is not one of them. 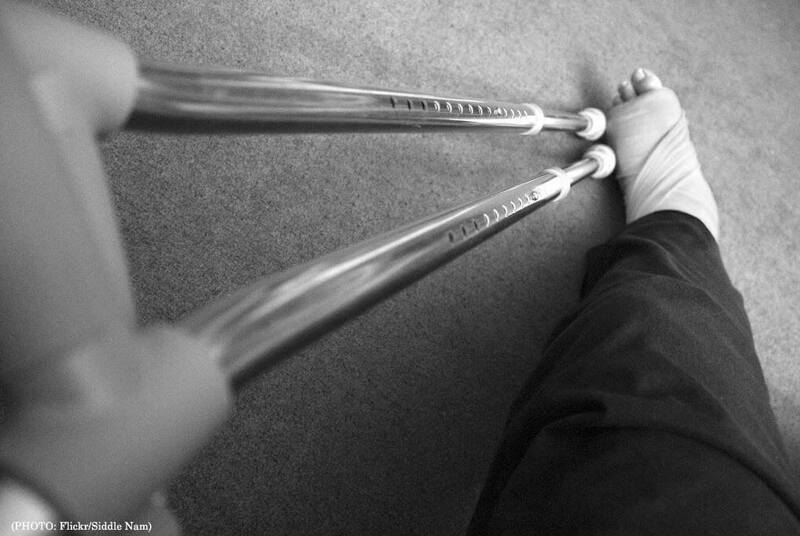 Birth injuries, like ones leading to cerebral palsy often obtain multi-million dollar settlements because they inflict life-long pain and suffering. Other states have capped these damages to as low as $250,000. Insurance companies argue the caps help keep premium costs low. Gov. Andrew Cuomo has gone on record saying, if the medical malpractice reform passes, he would sign the legislation. BUFFALO, N.Y. – There’s a phenomenon called a ‘mobility gap’ happening in America and it’s getting larger by the second. Some safety experts say this bubble has been growing for years and it’s already outliving its life-expectancy but eventually, it will burst. The generation referred to as ‘boomers’ – people born between the mid 1940’s and mid 1960’s – are changing road safety. One of these boomers turns 69 every eight seconds and their risk of getting in a devastating car crash inches higher each year. Buffalo car accident attorneys at Cellino & Barnes say if boomers stay on the road throughout their retirement years, there could be an uptick in devastating accidents. Decades ago, experts predicted 2015 would start a dangerous and deadly era of traffic collisions involving drivers over 65. Instead, boomers are proving those ‘experts’ wrong. 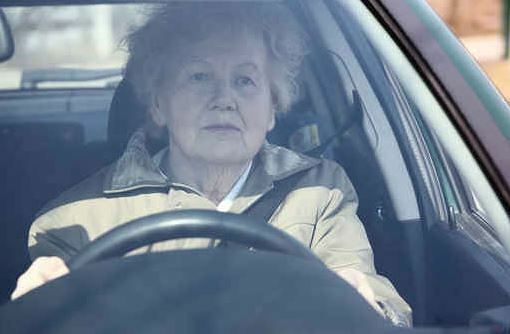 Crashes involving drivers over the age of 70 have dipped by over 15 percent in recent years. 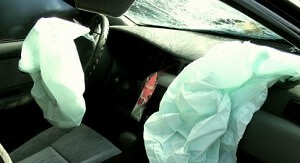 Buffalo car accident attorneys say this is likely due to a variety of reasons, the chief being improved car safety. Thousands of seniors take an AARP Safe Driving course each year but recent polls found these drivers didn’t doubt their driving skills. Instead, they were taking the class to qualify for their insurance company’s “safe driver” discount. It’s clear now that the 2015 doom-and-gloom-auto-accident ‘bubble’ predictions didn’t come true. However, experts warn the road ahead isn’t perfect. Doctors believe many boomers will outlive their ability to drive; albeit in their 80’s, 90’s or even later years. 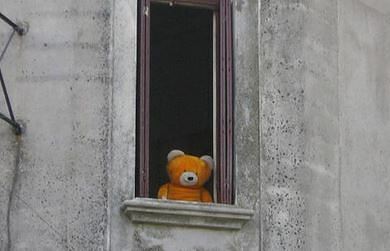 Most boomers aren’t worried. They hope autonomous vehicles will make driving a car yourself archaic history by that time. Of course, there’s still a lot of progress to be made on that front. NEW YORK – In the United States, there are almost 193,000 deaths resulting from injuries each year. On average, 58 people out of every 100,000 are killed by injuries such as falls, car crashes, overdoses, and fires. Of the 50 states, the District of Columbia and Puerto Rico, New York was found to be some of the safest, according to a report funded by Trust for America’s Health. Researchers analyzed statistics on both unintentional and intentional injuries by state between 2011 and 2013. Breaking New York averaged 40.3 injury-related deaths per 100,000 people, the lowest death rate. New York personal injury attorneys at Cellino & Barnes said it’s not surprising to see the Empire State was considered one of the safest in the country. The firm’s personal injury attorneys say they’ve been analyzing accident scenarios across the nation for years and safety has certainly improved. While car accidents and workplace injuries have been trending downward across the country, drug overdoses were the leading cause of injury-related deaths, at almost 44,000 each year. Researchers noted these deaths have more than doubled in the past 14 years. Overdose deaths now exceed car crash-related deaths in 36 states, researchers said. 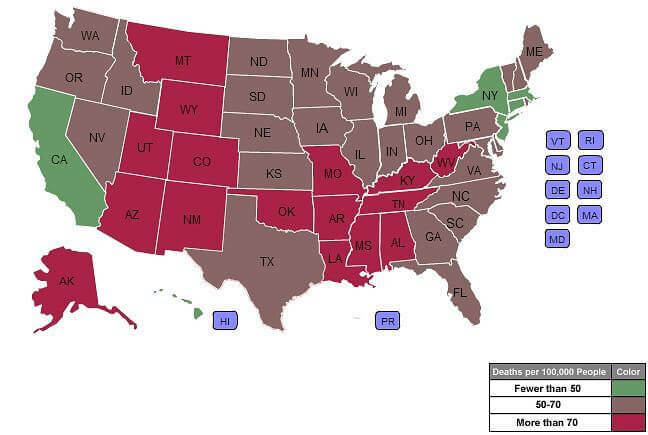 Analysts recommended increasing access to substance abuse programs in many states. The final report card graded states based on injury-prevention laws and programs. Only New York scored a 9 out of 10 points. Four other states scored the lowest 2 points; including Florida, Iowa, Missouri, and Montana. NEW YORK – Concussions often accompany several symptoms including dizziness and headaches. These injuries can also result in lasting mental damage, most often taking the form of depression, anxiety and irritability but doctors have struggled understanding why. These symptoms are common in people who recently bumped their head as a result of a construction accident, car accident, or other personal injury. New research may give clues as to why concussions and other brain injuries can lead to these long-lasting symptoms. According to a new study published in the journal Radiology, researchers from the University of Pittsburgh Medical Center used an MRI technique that measures white matter, the brain’s signal-transmitting nerve fibers. The study found unique white matter patterns in patients who had depression or anxiety, while those who did not display these long-term effects had different, stable patterns. Treatment can often take years and be extremely costly for victims of an accident. New York personal injury attorneys at Cellino & Barnes said definitive treatment plans could ease the recovery process for some. Doctors estimate almost 3.8 million Americans suffer concussions every year and millions more could be dealing with the after-effects. Researchers in the UPMC study noted that their findings also raise the possibility that anyone diagnosed with depression may actually have experienced a traumatic event at some point in their lives, which could have developed the depression. New York personal injury attorneys say it’s important to get evaluated by a physician for possible brain damage after an accident and if symptoms persist, it may be worth discussing options with an attorney focused on personal injury cases. UPMC researchers plan to compare their findings in concussion patients with people suffering non-traumatic depressive disorders. Doctors hope the findings can further develop treatments and medicines that target depression. ROCHESTER, N.Y. – There are countless ways children can get hurt– and almost every parent will discover this fact of life. Whether it’s a cut, a scrape, a broken bone, or something else, emergency rooms across the country treat thousands of children every day but falls cause more injuries than any other incident. According to doctors with the Mayo Clinic Health System, nearly 2.8 million children are treated after a fall every year. Researchers said most of those falls happen at home but children can get hurt anywhere: in shopping carts, changing areas, playgrounds, or playing near a window. Slip and fall attorneys at the law offices of Cellino & Barnes urge parents and other adults around children to be mindful of the hazards of windows. Researchers estimate 14 children will get seriously injured from falling out of a window every day. Accidents like a fall account for hundreds of deaths each year and according to the Centers for Disease Control and Prevention, accidents are considered one of the top three causes of early childhood death. Researchers found that falls caused nearly 40 percent of all head injuries to children between the ages of 2 and 12. The younger the child, the higher the risk; the same research found 77 percent of all head injuries to toddlers and infants could be related to a fall. With summer in full-swing (and with windows open), Rochester slip and fall attorneys hope parents will take precautionary steps to prevent these kinds of accidents. BUFFALO, N.Y. – Medics were called to a rail yard Friday morning when a person was pinned between freight box and a train. 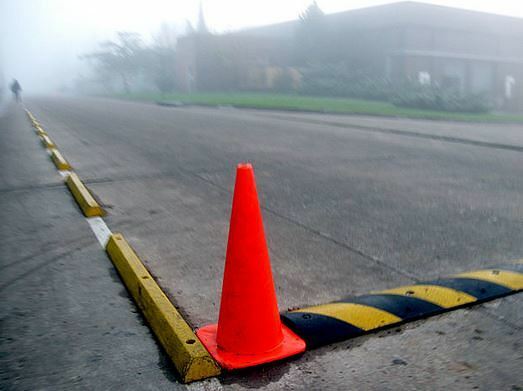 News articles reported the accident crushed the legs of a 29 year-old worker. Unfortunately, accidents like this happen every summer. The Bureau of Labor Statistics (BLS) report more workers are injured in June, July and August than any other time of year. A BLS report found nearly 3,300 workers are injured every day in the month of June. Buffalo construction accident attorneys at Cellino & Barnes say most of the accidents that occur can be prevented with proper oversight and safety procedures. Statistics show most workplace accidents are sprains, strains and tears. However, it’s not uncommon for workers to break a bone or suffer multiple injuries as a result of lax safety protocols. 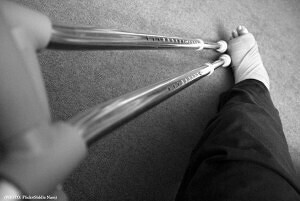 Nearly 44 percent of all workplace injuries put an employee on the sidelines for over 11 days. Cellino says there’s no reason to put profits ahead of safety anymore because companies are paying more than ever for workers’ compensation. The Department of Labor estimates employers pay nearly $1 billion every week in workers’ compensation costs alone and that number could be higher during the summer months. Researchers could not explain why more workers are hurt during the summer months but the Bureau of Labor Statistics plans to submit additional reports in the future. Where Does Your State Rank in Safety? NEW YORK – The surveys are in and the numbers have been released. New York is the 15th safest state to live in, according to a WalletHub report. 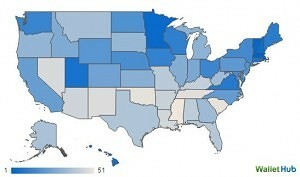 The social website ranked states across 20 key metrics and monitored a variety of safety concerns. The report analyzed workplace safety, home and community stability, road safety, emergency preparedness, and financial security. New York scored in the top half. New York personal injury attorneys at Cellino & Barnes said these statistics can help state lawmakers and safety officials focus on areas that need improvement. The analysis found North Dakota (the most dangerous state in the occupational injury category) experienced nine times more workplace injuries than Connecticut (the safest state in that category). On the roads, Montana was considered the most dangerous state for drivers, counting three times more fatal crashes per mile than the District of Columbia. New Yorkers could also use safer roads, ranking 20th of the 50 states. WalletHub put Massachusetts at the top of this year’s list of safest states. Mississippi was last, scoring very low in four of the five major categories. The Empire State was near the bottom of the list for “Natural Disasters,” which analyzed the number of climate disasters causing more than $1 billion in damage and estimated the property losses per capita. 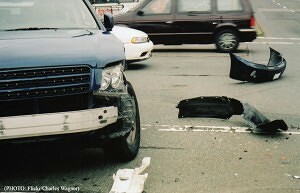 NEW YORK – Each year, there are nearly 2 million rear-end collisions on American highways. It is the most common type of car accident on roadways today, often caused by distracted drivers or adverse weather conditions. Although these crashes may seem minor, rear-end crashes have resulted in nearly 2,000 deaths and another half-million injuries. In a new report, the National Transportation Safety Board (NTSB) made a bold statement: More than 80 percent of these deaths and injuries might have been mitigated had the vehicles been equipped with a collision avoidance system. Researchers have found the new technology can detect vehicles and objects ahead of them and brake automatically. The devices are currently available in some cars but are usually attached to luxury vehicles and at a higher cost. New York car accident attorneys at the law offices of Cellino & Barnes believe if the technology will help prevent crashes it should be standard on vehicles. The NTSB has made 12 recommendations over 20 years in favor of forward collision avoidance technologies, including 10 recommendations resulting from an earlier Special Investigation Report in 2001. Clearly, the progress has been limited and the general public is relatively unaware that crash avoidance technology is available. According to federal authorities, only 4 out of 684 vehicle models in 2014 included a complete and standard forward crash avoidance system. When the technology is offered as an additional option, they’re usually bundled with other features at a higher price, making consumers less likely to invest in the safety system. In a separate report accompanying the NTSB recommendations, federal officials pointed to a study by the National Highway Traffic Safety Administration which found that 87 percent of rear-end collisions happened because the driver simply wasn’t paying attention to the road. New York car accident lawyers said if crash avoidance systems do become standard in future vehicles, it’s not an excuse to use a vehicle recklessly or while distracted. Barnes said no matter what safety features are installed, drivers should always pay attention to the road and traffic around them.